Colour your lifestyle and be inspired! 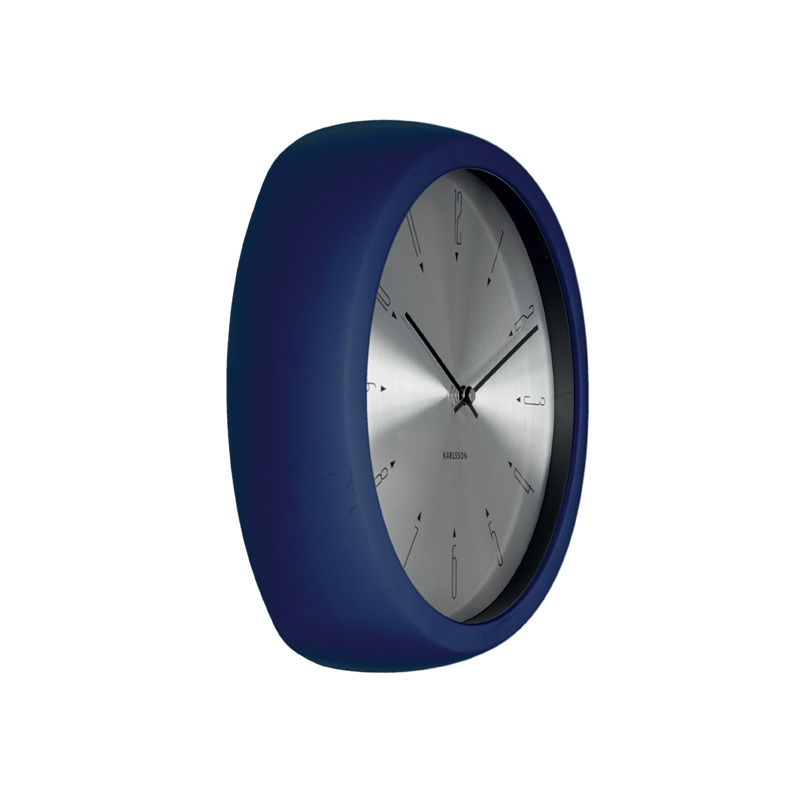 Paint your wall red and hang up a fabulous bright blue clock with a shiny aluminium dial. A statement piece of note! 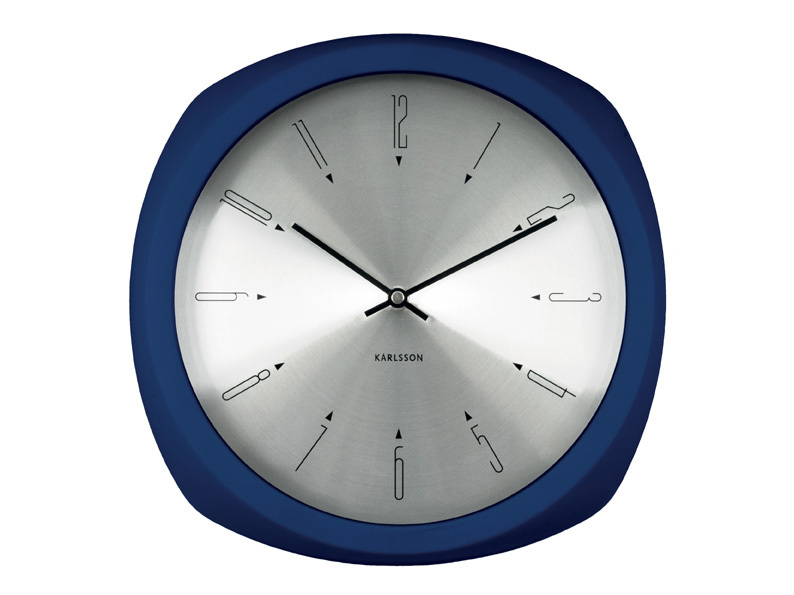 This fun wall clock is modern and trendy and will bring new life to a dull room. The hours are marked with thin, elongated numbers and small triangles. A sweeping hour and minute hand indicate the time. Great for a kitchen, a family TV room or a den. Size H30cm x W30cm x D6cm.